RGB Light Change and Dimmable LED Panel light. A great solution for ceiling fixture, perfectly recessed in ceiling. 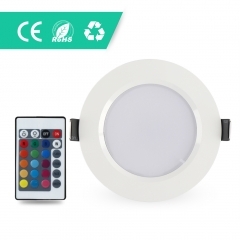 Remote control, totally 16 kinds of static colors and 4 dynamic modes can be controlled, meanwhile the brightness can be adjusted. Support power-off memory function.PP front-panel and aluminum shell, good heat dissipation, 85% energy-saving and environment-friendly, long life span up to 50,000hrs. Landscape lighting, architectural lighting, entertainment lighting, restaurants, hotels, ambient lighting, art galleries, etc. 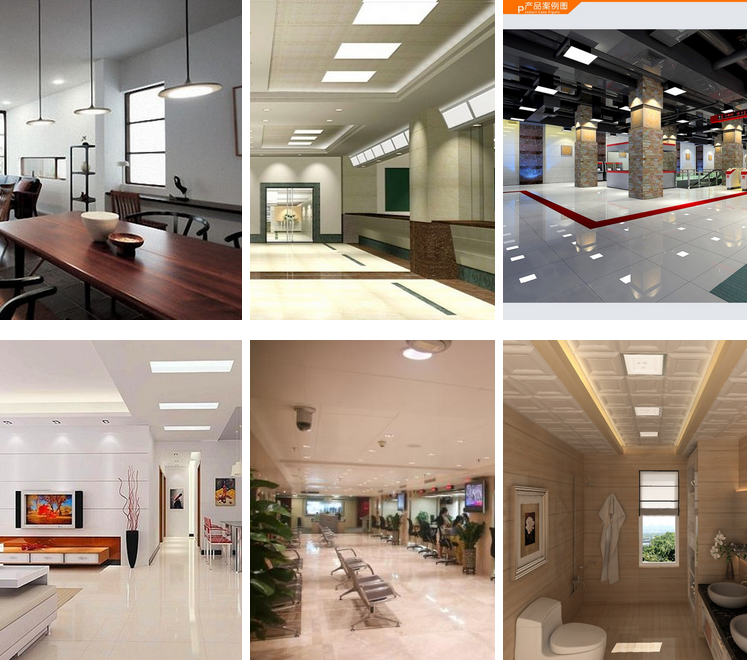 Perfect for meeting room, store, super market, office, store, exhibition, dance halls, bars, kitchen, parlor, bedroom and other places lighting and decoration. We have ware house which available among USA,RU, Canada, UK, AU, Germany. Fast shipping within 3~5 business days, no waiting, no custom tax needed. 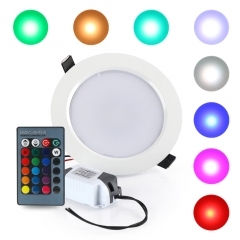 10W RGB Round LED Panel Lighting suit for Liv..
5W RGB Round LED Panel Lighting suit for Livi..